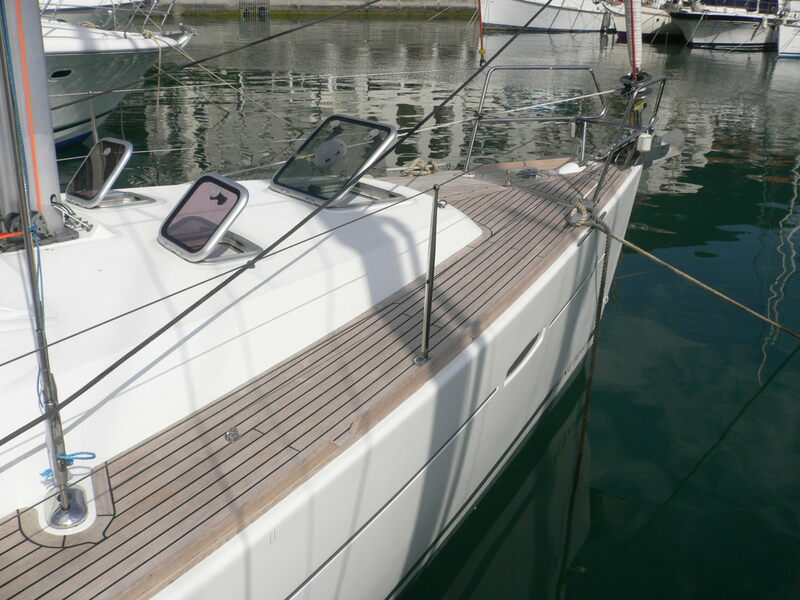 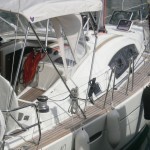 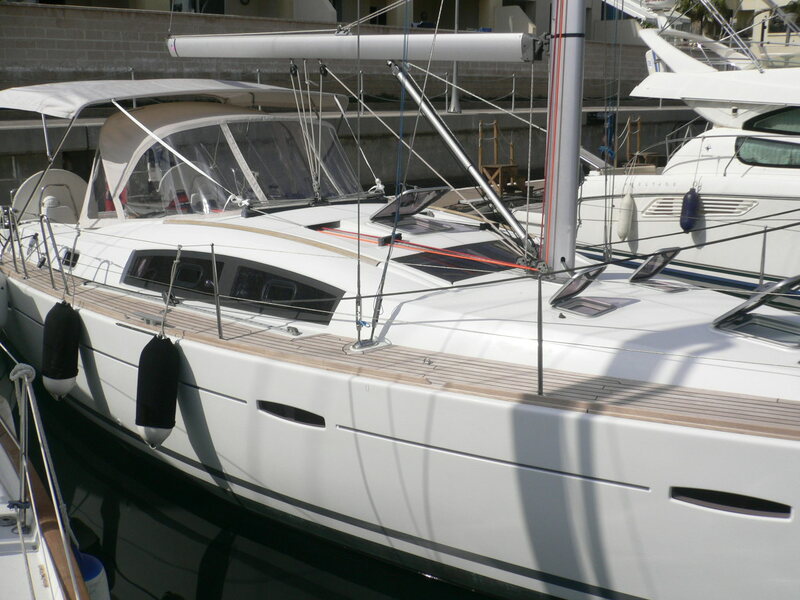 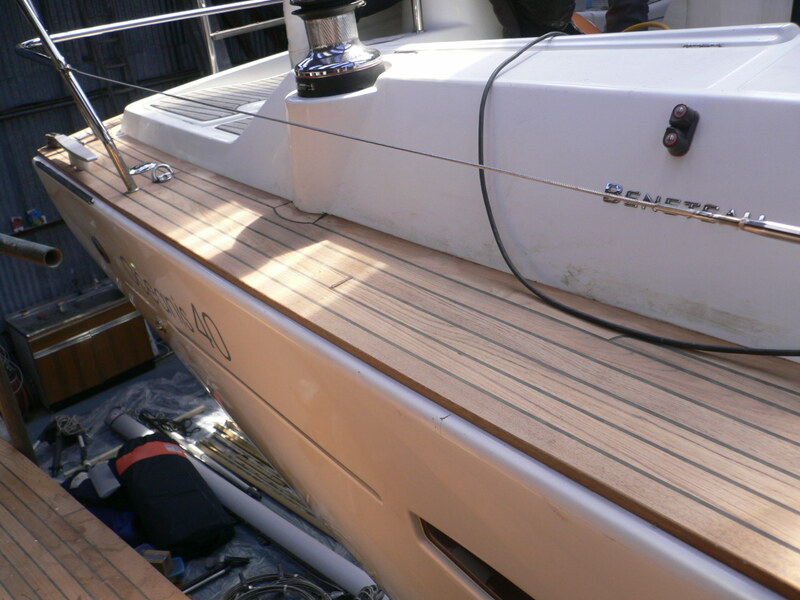 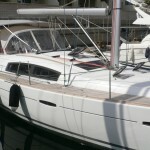 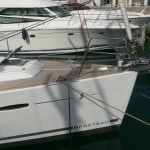 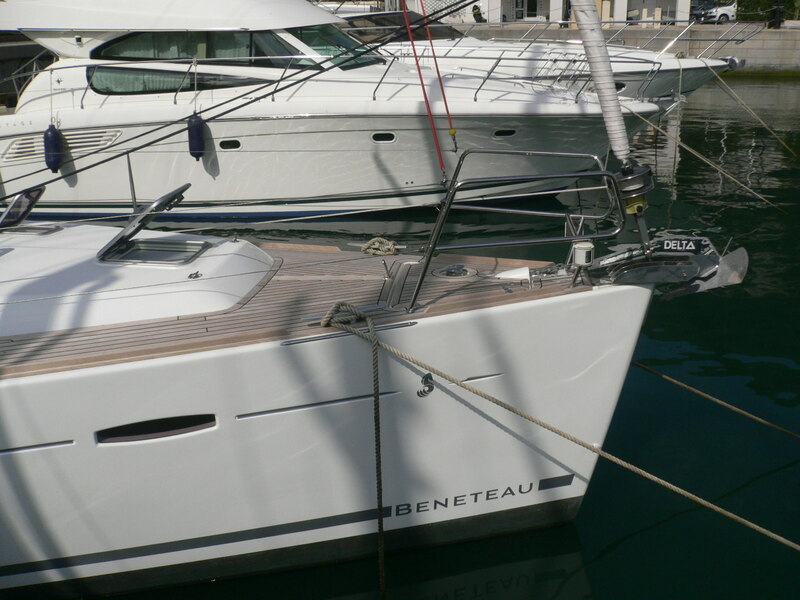 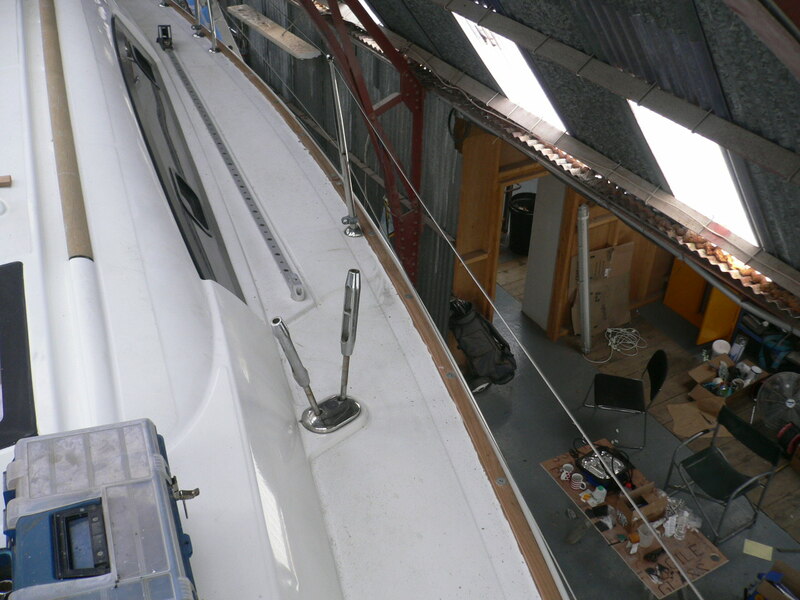 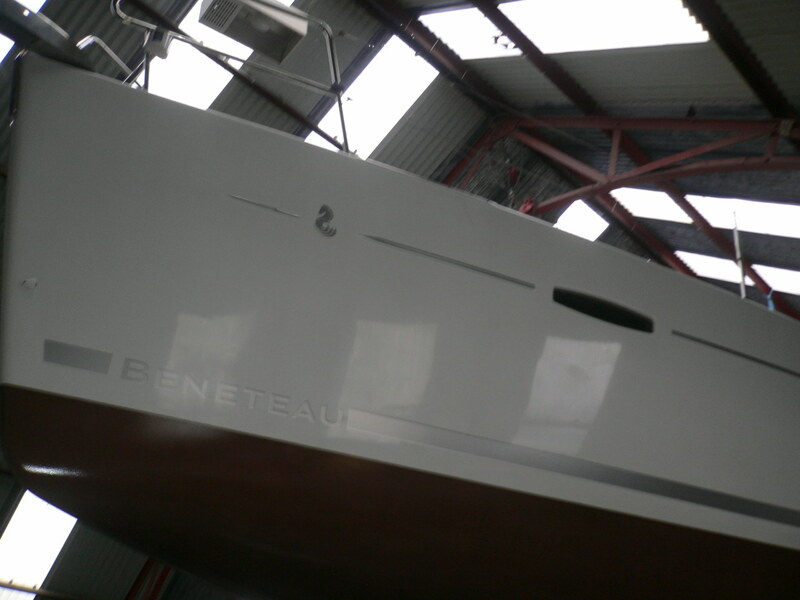 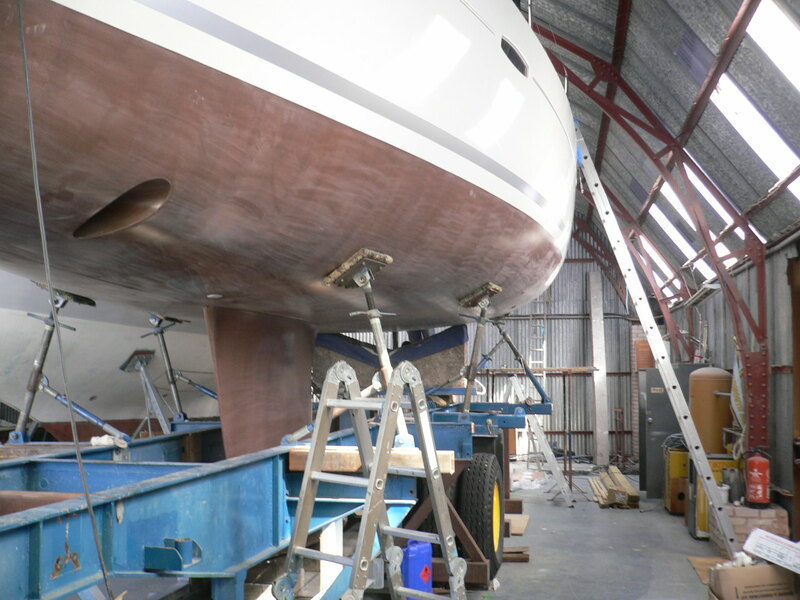 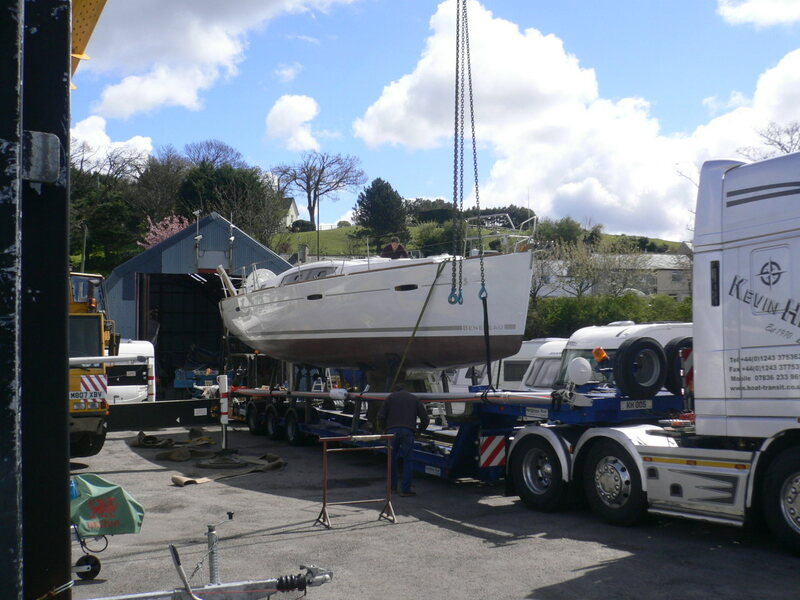 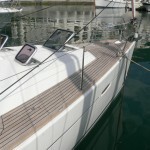 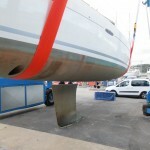 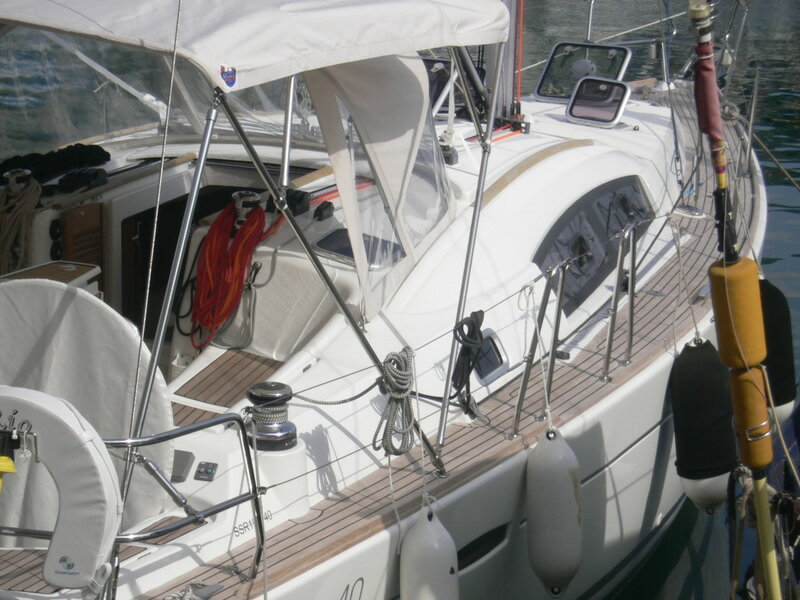 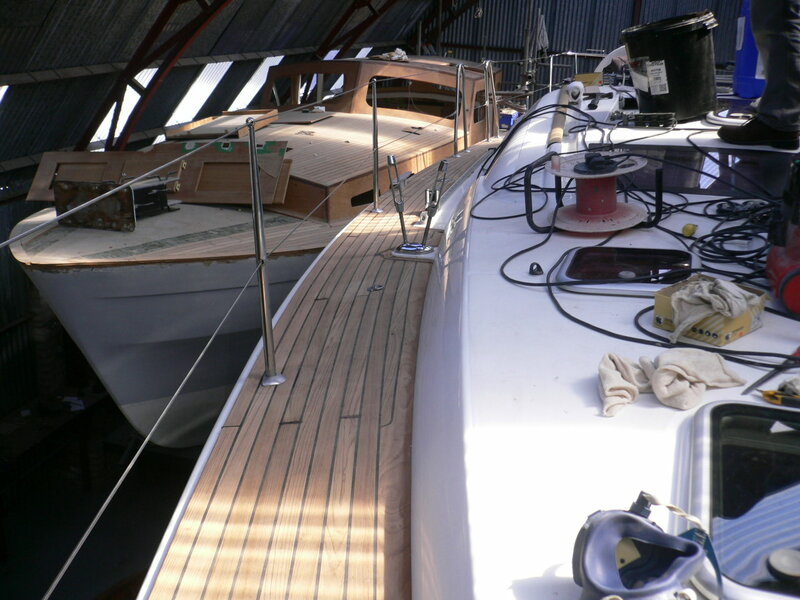 A Beneteau 40 was brought to us for the keel to be removed and then re-bedded. 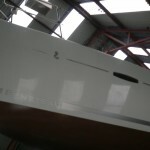 The owner wanted the internal matrix re-glassing, i.e. 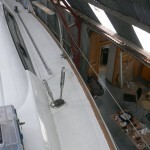 stiffening up, which was done and gel washed on completion. 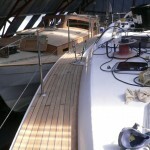 I cannot recommend more highly T.L.C. 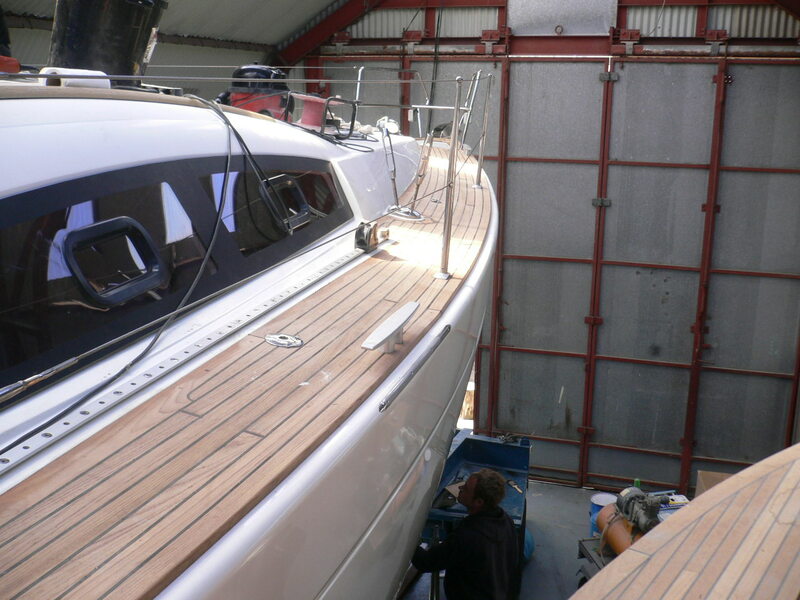 It is rare to find such levels of expertise and commitment. 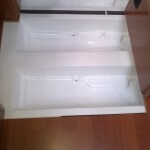 I am absolutely delighted with the service. 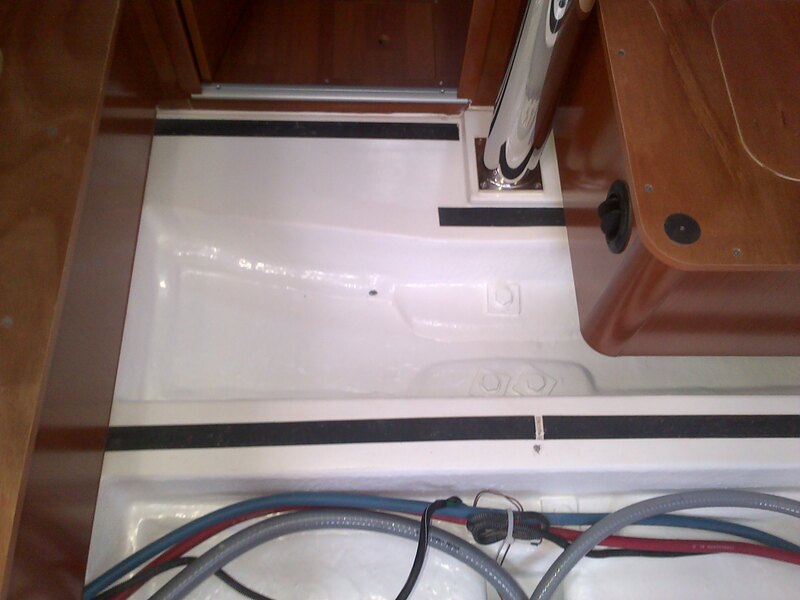 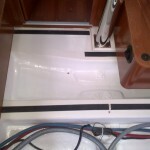 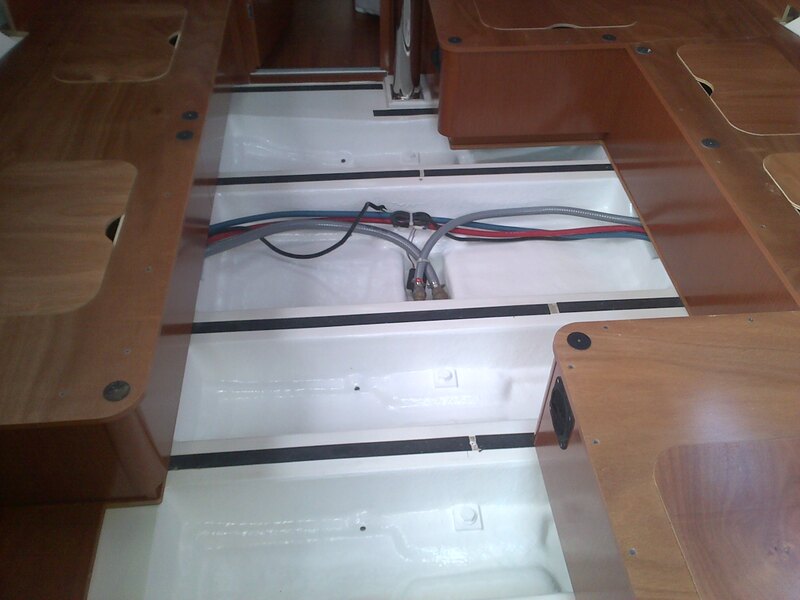 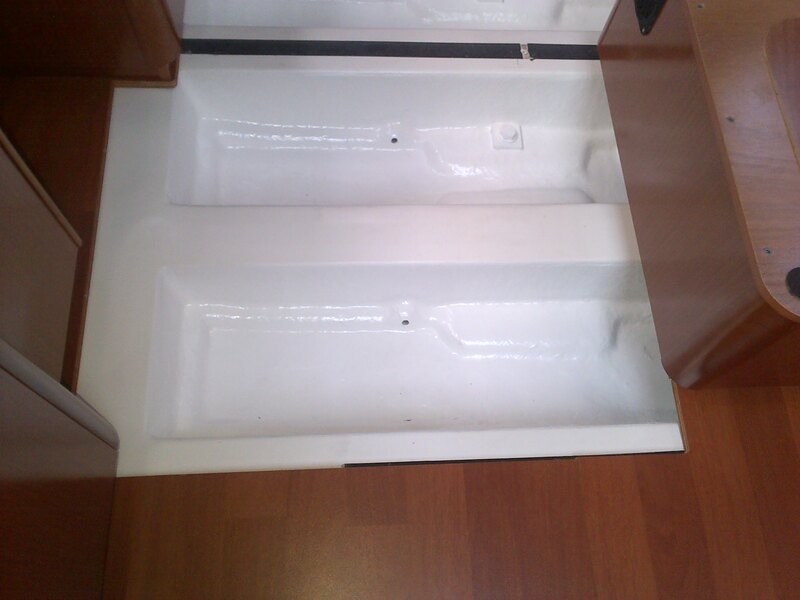 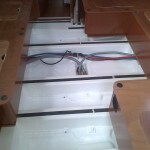 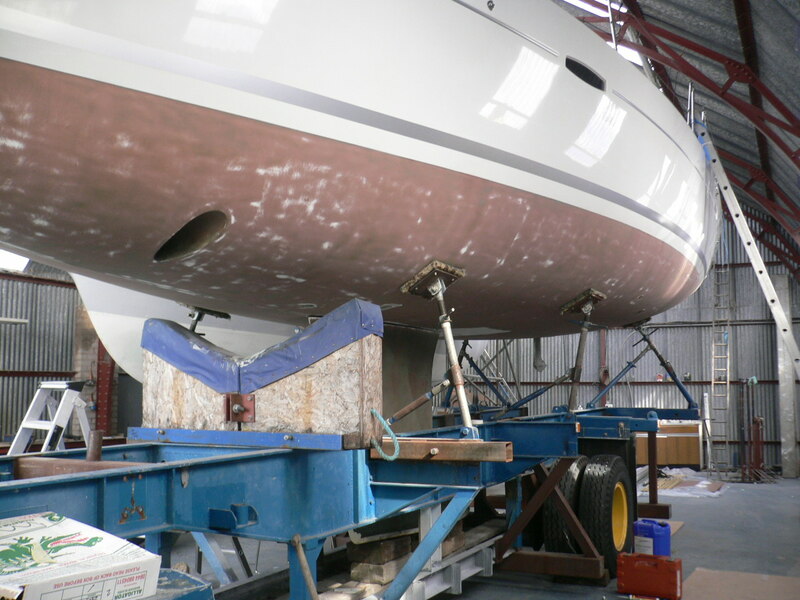 The hull was lightly sanded below the waterline and Copper Shield 2000 applied, giving approximately 10 year usage. 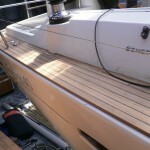 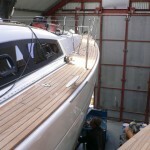 The owner wanted a new teak deck fitted which we set out and made up new toe rails. 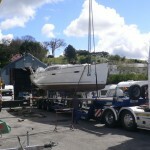 The pictures are while it was in the shed. 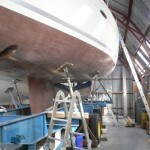 Look out for new pictures while it’s in the water. 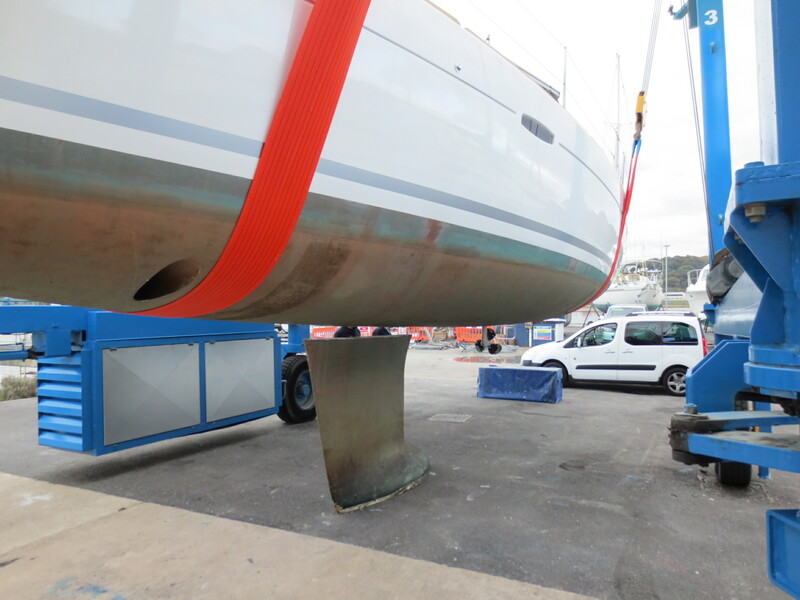 Update 11th June: The owner has just sent us some more pictures of the deck work from Gibraltar, where the boat is currently berthed.